Super Bowl 47 will start this afternoon. 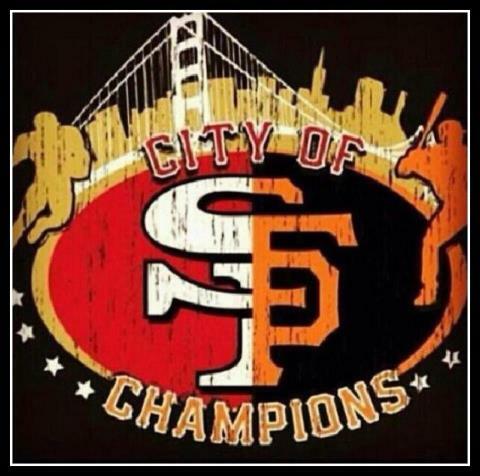 I will be there to watch the Forty Niners. I became a fan in the Fifties, when two players from my hometown, offensive tackle Monte Clark, and all pro defensive back, Jimmy Johnson were drafted by the Forty Niners. Back then, it would have been difficult to envision the concept of the Super Bowl, or the greatness ahead for these two players. My Dad would have truly enjoyed being here today. He introduced me to sports. He took me to my first college and professional football games. We started out on a local level, our high school, where the Johnson brothers Rafer and Jimmy) starred in four sports. I am sure this little story gets repeated over and over across the country. A young boy is introduced to sports by his father, and stays a sports fan for life. Thank you, Dad, you were the best!!!! Meanwhile, in Nawlins, so far, Niner fans are outnumbered by Ravens fans by ten to one! There are more Saints fans here, in fact, that Niner fans. Was it the expense of travel or the ticket shortage out west? Ravens fans are here, and will outnumber us greatly, unless everyone was hallucinating yesterday. Speaking of yesterday, I went to the NFL Experience, with my two newest friends from Baltimore, Pat and Mark. Mark has his own accounting firm, and Pat is now an attorney. Pat is a little scruffy, but so interesting. He was a Fulbright Scholar, and has lived all over the world, and is fluent in Mandarin. Anyway, we met yesterday morning at a nearby coffee joint, gave each other the “Go Niner, Go Ravens” greeting, sat for about an hour together, and decided to spend the day together. Fortunately, Pat had his son, Patrick, aka “Little Sh*tty” with us to keep things on the up and up. In other words, no honky tonks, strip joints, or seedy bars. If you ever go to s Super Bowl, skip the NFL Experience. It is mostly for kids to do some football skills, like throw and kick. The NFL tries to sell a bunch of goods, like GM cars, Bridgestone Tires, Under Armour sporting goods, and propaganda. Speaking of, do you know the take on locals (Nawlins people) view of “Bountygate?” They believe that NFL Commissioner Roger Goodell penalized the Saints so they would not have any chance of playing in the Super Bowl here. They say it makes a FIVE fold difference in revenue to the area businesses! I find that hard to believe, but….. Meanwhile, in the next few days, after we win our Sixth title, I will tell you more about the great folks here in the Crescent City. 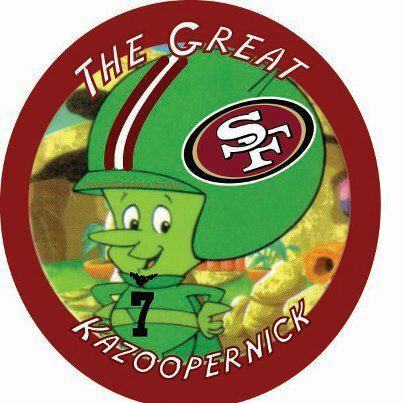 Meanwhile, Go Niners!!! !